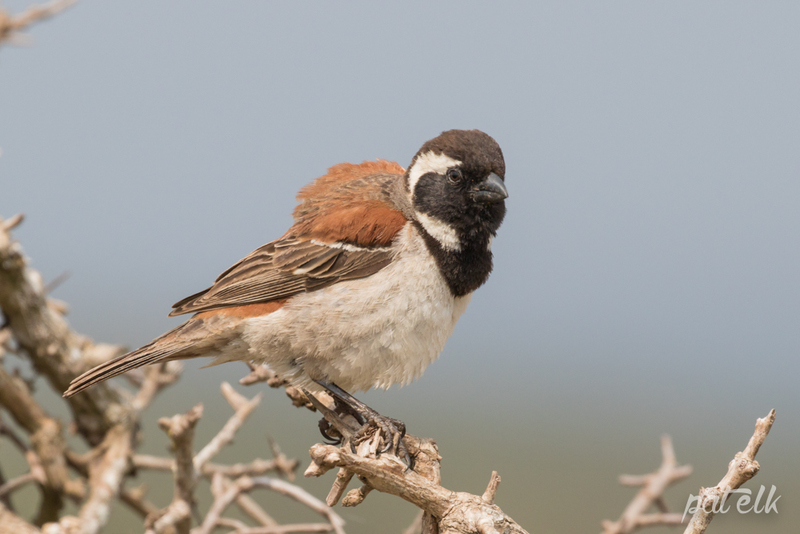 The Cape Sparrow (Afrikaans name Gewone Mossie) ia a common resident in grassland fields, gardens and in cities. The Male is boldly marked and is a handsome fellow with his black head with the white C marking on his face. The female is less striking than the male but still very pretty nevertheless. They feed mostly on grass seeds and some berries, but in the cities they scavenge whatever they can get.